Srinivas is a senior consultant with a particular focus on public policy. He blends his background in commerce and education to develop pragmatic, rigorous and client-focused solutions. Srini has worked with clients, both nationally and internationally, in a range of sectors including education, health, finance and government at large. His strong analytical and communication skills allow him to quickly adapt to new environments and deliver valuable analysis and insight for stakeholders. Developed a business plan and business case for an international institute based in a leading university that resulted in increased funding being provided. Prior to joining Nous, Srini completed the Teach For Australia program (a two year program that places individuals in low SES schools), worked as a teacher mentor, and volunteered in the Solomon Islands under the Australian Youth Ambassador for Development program. 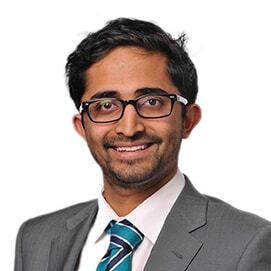 Srini has also worked at several financial services firm, with a focus on investment analysis, and volunteered at various not-for-profits. He has completed a Bachelor of Commerce and a postgraduate Diploma of Teaching, and is currently completing a postgraduate Diploma of Economics. Srini enjoys expanding his cooking repertoire, reading, and playing guitar. He watches more sport than he plays these days.